Gmail has been good at caching your recently viewed mails so you can still access one or two emails after you are disconnected. This works okay for any momentary connection drop. However, when you are disconnected completely for longer period of time, you are pretty much out of luck. This is one reason some people are reluctant to adapt to web-based emails. Now this mentality needs to change for Gmail because Google just added a new feature this week to allow offline access to your emails. This new feature makes Gmail a direct competitor to Microsoft Outlook, Thunderbird and any other desktop email client. It’s very easy to set up. You first need to download and install Google Gears (you don’t need to download if you are using Google Chrome already). After Gears is installed and enabled, all you need to do is to login to Gmail, click on Settings -> Labs. Find Offline mail feature on the list and enable it there. You will then see an Offline link next to Settings. Click on it and follow instruction to continue with the set up. I did some testing on this offline feature. It worked very seamlessly. The emails come up very fast as usual whether you are online or not. You can unplug your connection any time, Gmail would detect the connection when you plug back in and begin syncing immediately. The amount of emails or date range for offline mode is currently determined by Google and it’s not adjustable. I can go as far back as 6 months offline on my personal Gmail account. This is currently a lab feature (experimental). I think this feature is already very solid as-is. It should be out of the lab very soon. 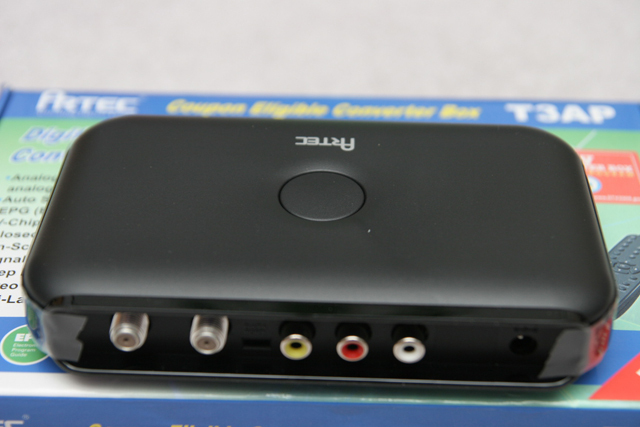 The Artec T3AP is the second DTV converter box I purchased along with the Sunkey SK-801. 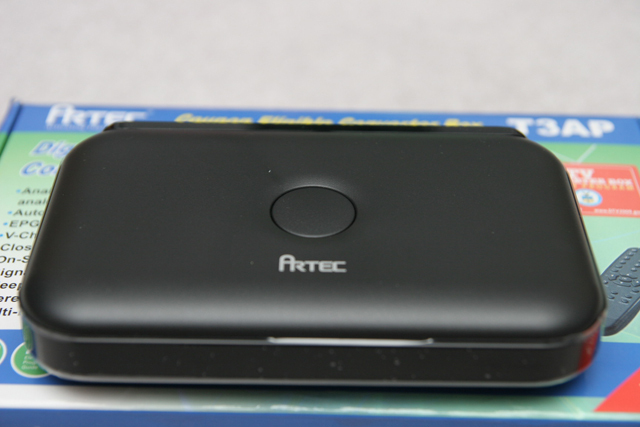 Note that the model is Artec T3AP not Artec T3AP Pro. 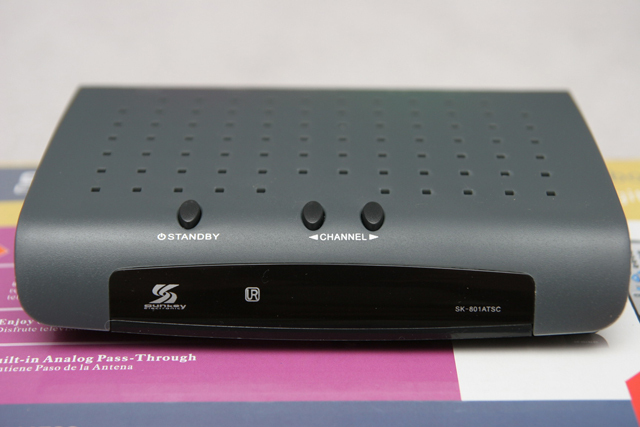 The difference between these two models is that the Pro version has the channel and volume buttons on the box while the non-Pro version does not. Other than this, they are the same box. 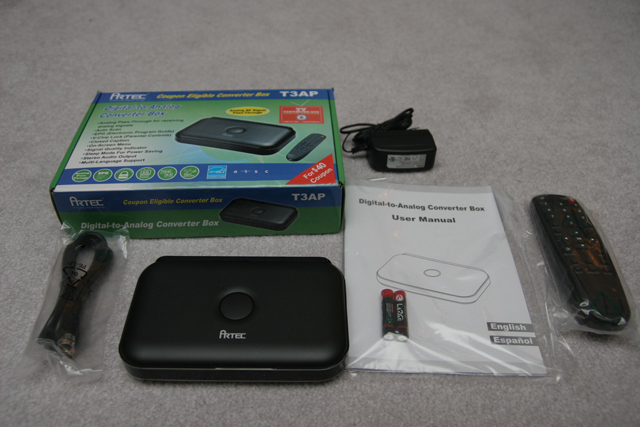 The package comes with batteries, remote, RF cable, manual, power adapter and the device itself. It does not come with RCA cable like the Sunkey SK-801 package though. I like the picture quality of the Artec T3AP more than the Sunkey SK-801. The images look cleaner and sharper, where the Sunkey SK-801 look a little soft. There are noticeable vertical lines on the Artec T3AP image though when viewing up close. You can’t see it when sitting in a normal distant from the TV so it’s really not that bad. The menu looks more elegant than the Sunkey SK-801 and easier to navigate. Features (though no many) are easy to find. 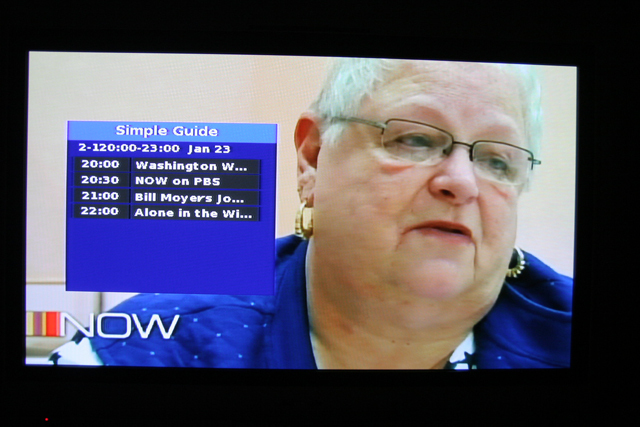 As for the programming guide (EPG), it is also a disappointment. This one is even worse than the Sunkey SK-801. 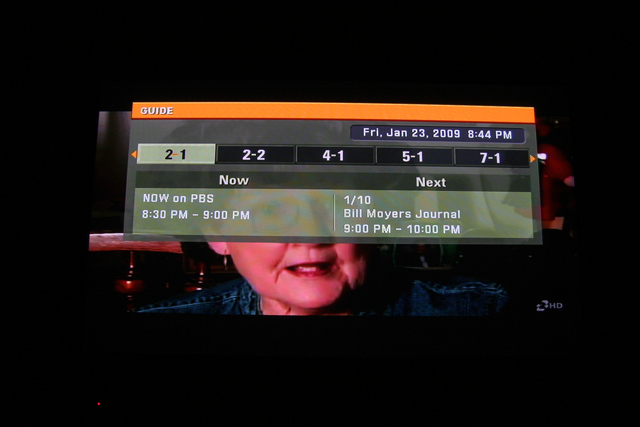 It only shows you the next show of the current channel. Again, this is another low cost device so features is not important. Compare between the Artec T3AP and Sunkey SK-801, I like the Artec T3AP more because of the better picture quality and better/cleaner menu. Meritline currently carry this device for $54.99 with free shipping. 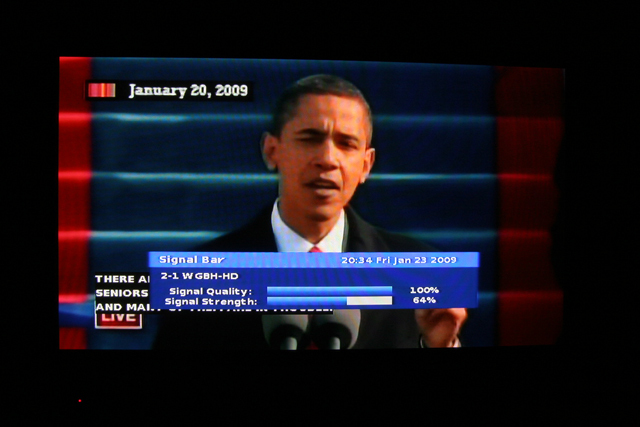 freetvsignal.com carries it for $40 but they are currently out of stock. Although I got my order from them with only a slight delay, I still wouldn’t recommend them based on what I read on Fatwallet. I say if you want to buy a converter box, go to Meritline. They are very established company that you can trust. They sometimes have good package deal that come with an antenna. 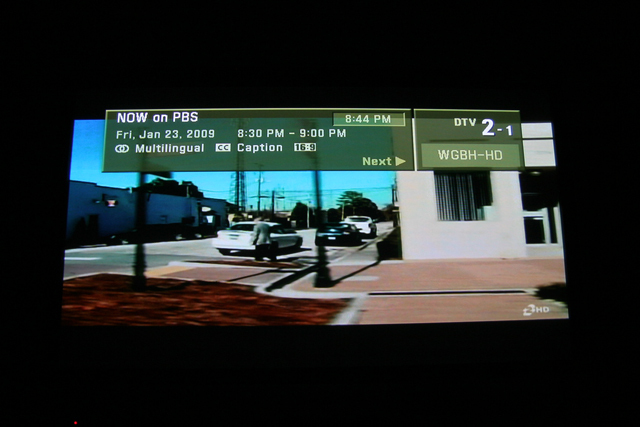 Review on DtvConverterGuide.com in case you are interested. 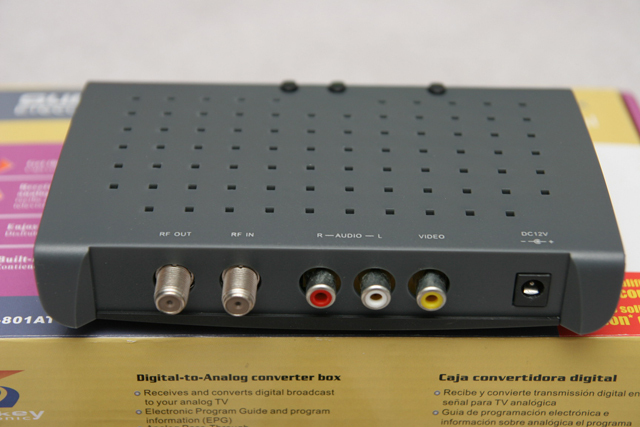 I ordered 2 DTV converter boxes from freetvsignal.com about a month ago. They finally arrived. One is a Sunkey SK-801 and the other one is Artec T3AP (I will write about the Artec on a separate post). The reason why it took so long to ship is because they oversold. Some people still waiting for theirs for over a month. I guess I’m one of the lucky few who actually receive the order. I’m not saying that they scam people. They are just not honest about their inventory status. You can read this thread over at Fatwallet to see for yourself. Enough talk about the vendor. Let’s talk about the Sunkey SK-801. 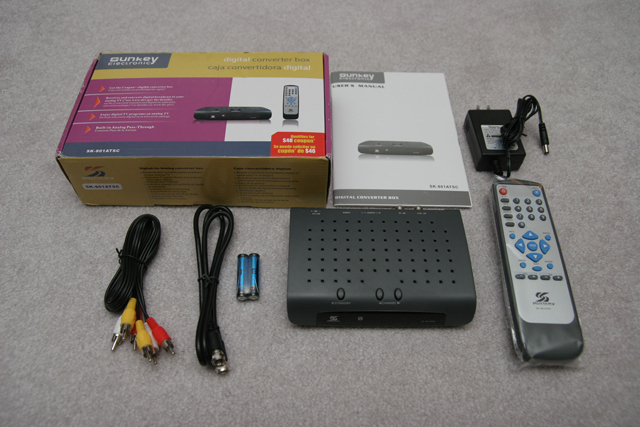 The package come with a remote, battery, RCA cables, RF cable, power adapter, manual and the device itself. As you can see, the device is actually quite small. The remote control is also very simple and easy to operate. 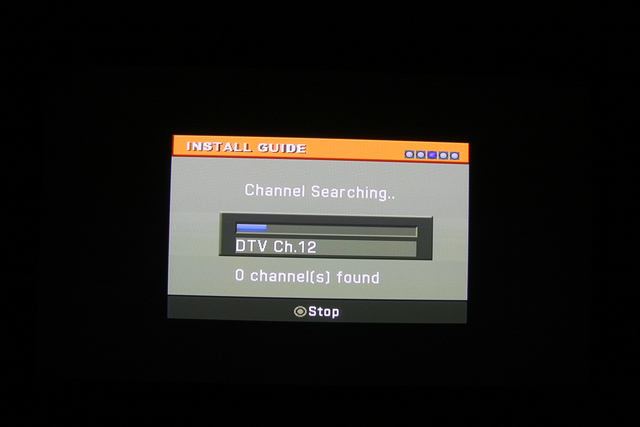 The channel scan finished in a couple minutes. 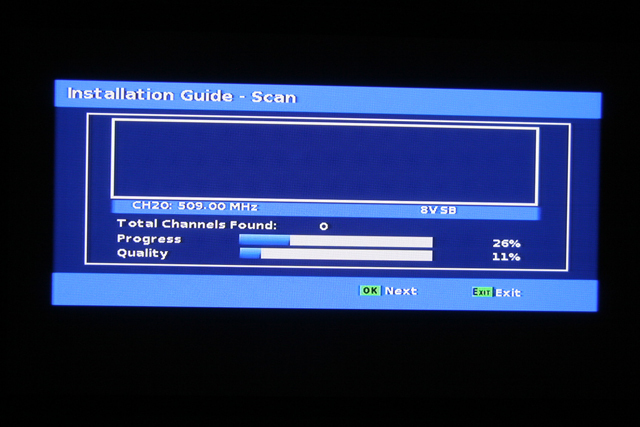 Digital signal is very strong in my area so it has no problem finding all the major channels. Picture quality is quite good. 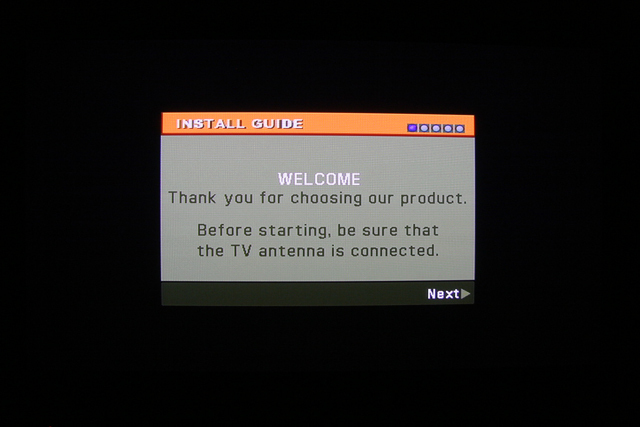 It’s much better than the analog signal. 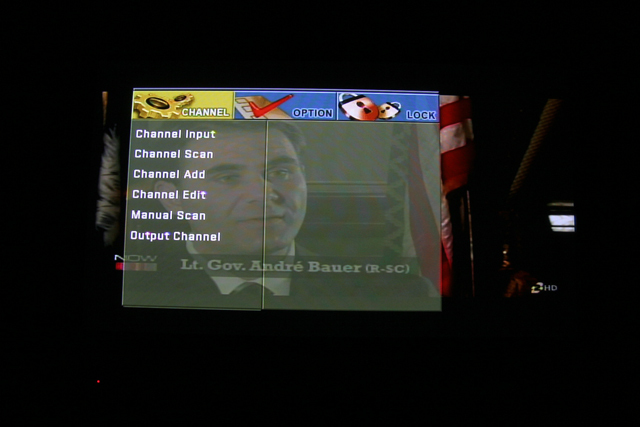 It’s hard to see the picture quality here but you can see signal quality is at 100%. 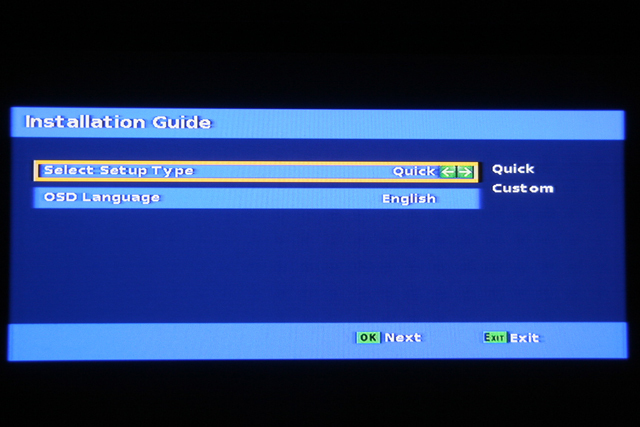 The EPG (Electronic Programming Guide) is a little of a disappointment. It only shows you upcoming shows on current channel for the next couple hours. This is a very low cost device (free after $40 coupon) so I shouldn’t ask for much. This is a good product overall if you don’t care much about features. It does exactly what it supposed to do and not more. 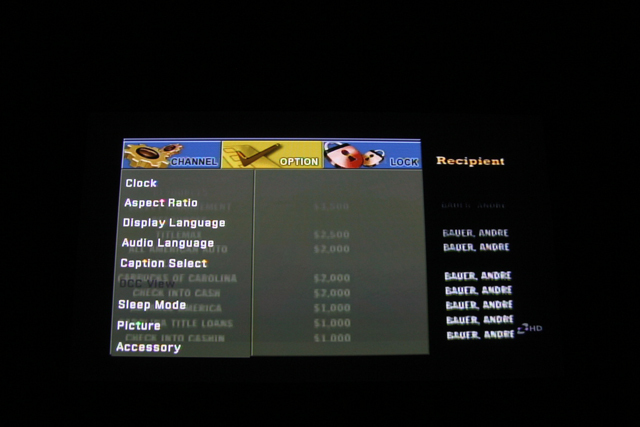 The menu looks very basic but it’s also very simple to operate. 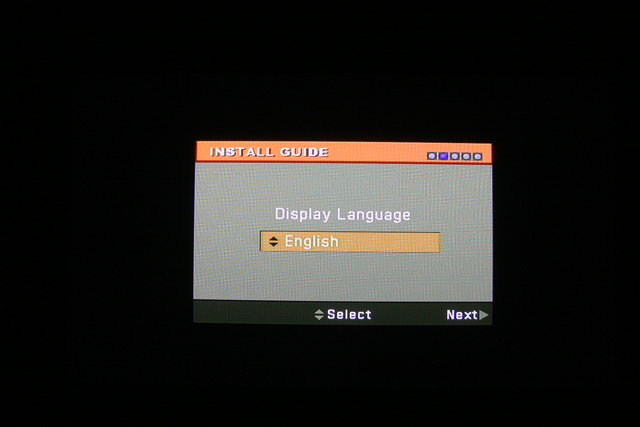 It has closed caption and ratio setting to switch between 4:3 and 16:9 format. This product is perfect for people who just want something simple. Meritline has a package deal with antenna for $50.99. It’s a very good deal if you don’t have an decent antenna already. Digital signal is all or nothing. Rabbit ear may not work well if you don’t have good signal around your area. Entries (RSS) and Comments (RSS). 34 queries in 0.094 seconds.